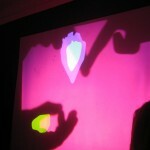 Manual Input Sessions by Tmema (Demonstrations) from Tmema on Vimeo. 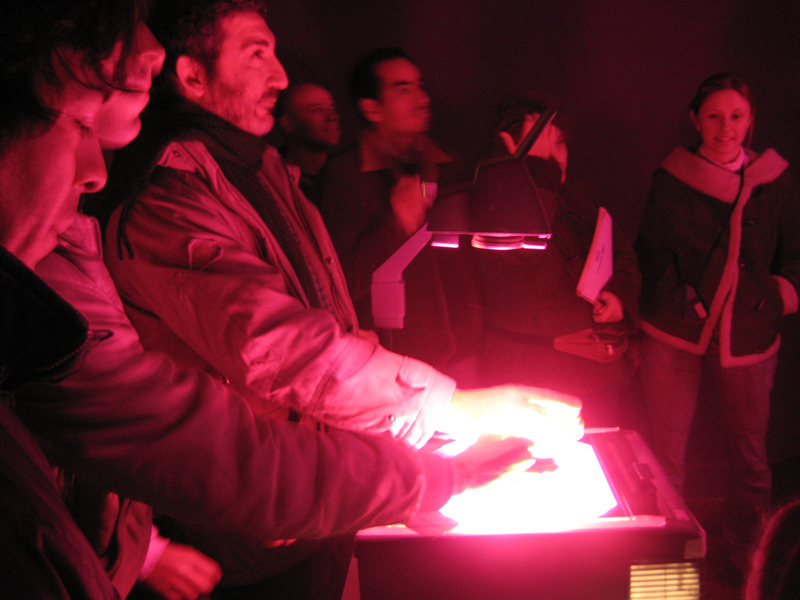 The Manual Input Workstation presents a series of audiovisual vignettes which probe the expressive possibilities of hand gestures and finger movements. 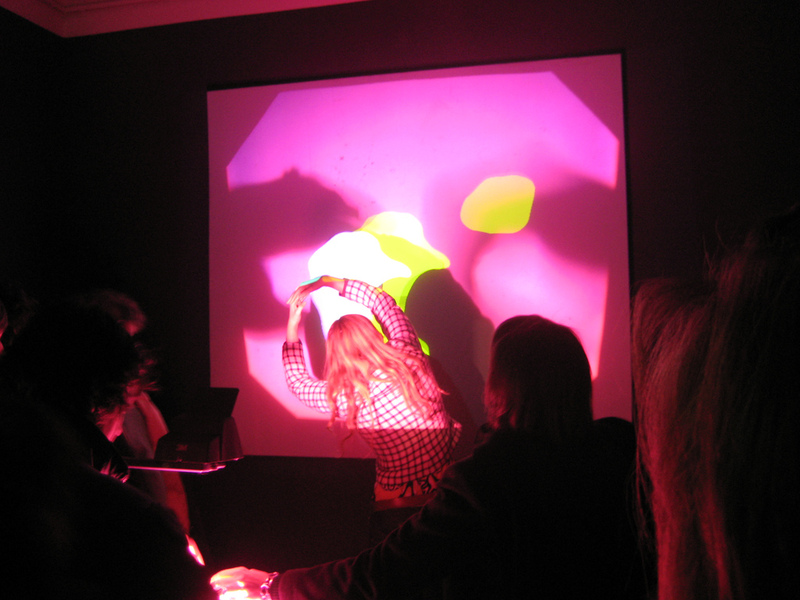 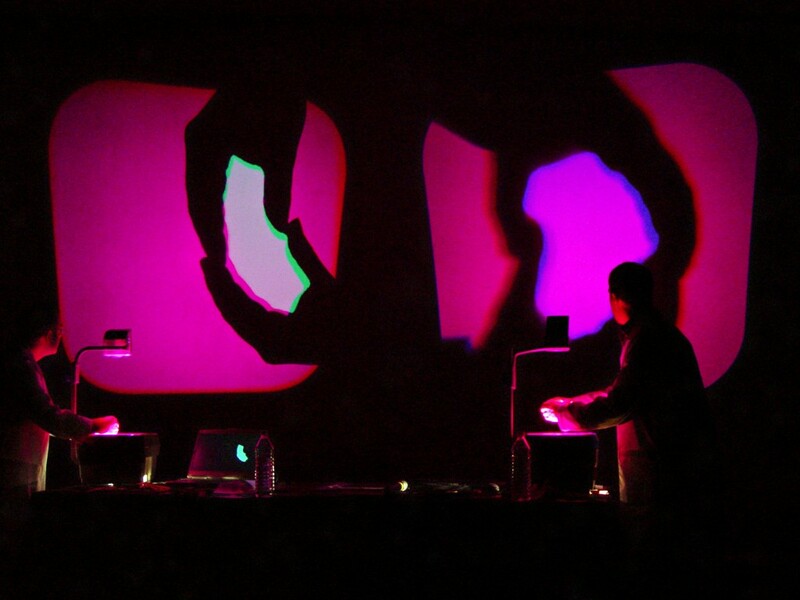 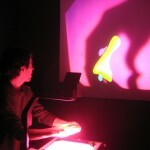 Interactions take place on a combination of custom interactive software, an analog overhead projector, and a digital computer video projector. 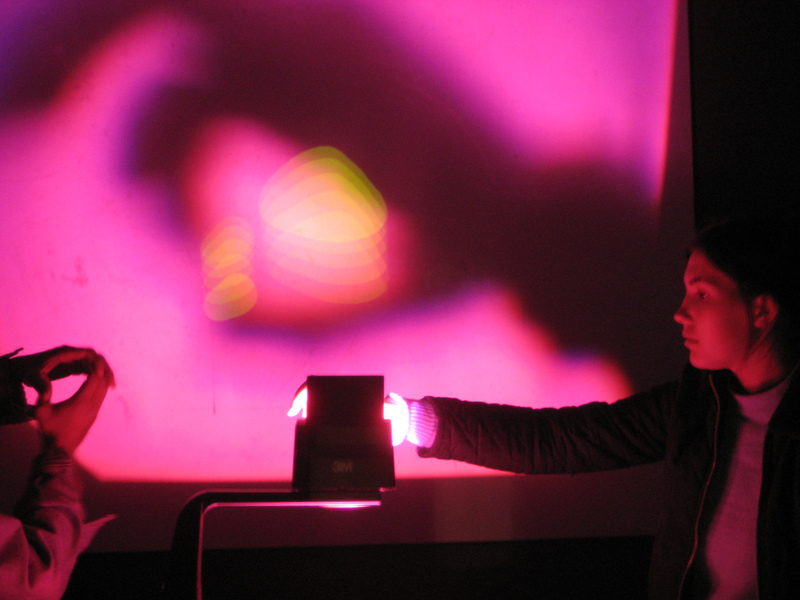 The analog and digital projectors are aligned such that their projections overlap, resulting in an unusual quality of hybridized, dynamic light. 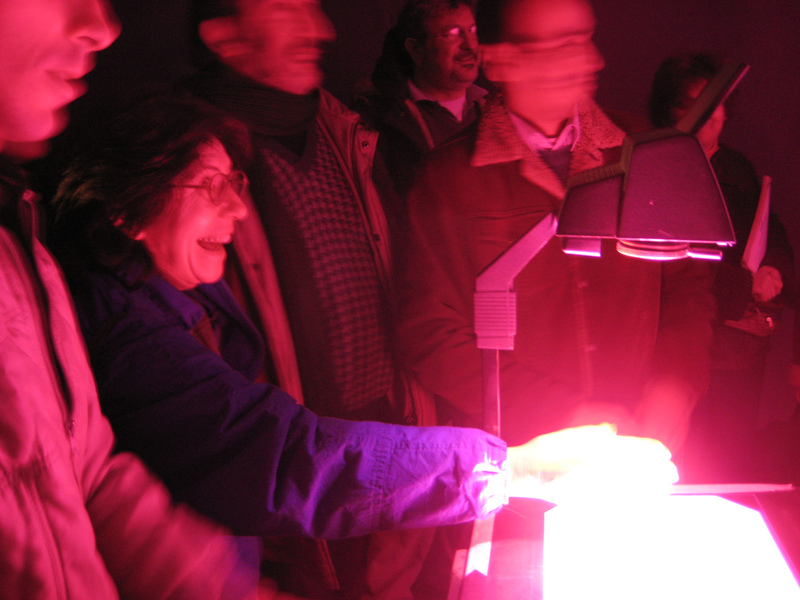 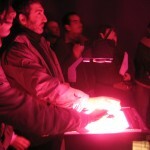 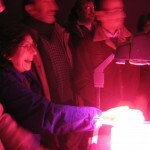 During use, the visitors’ hand gestures are interpreted by a computer vision system as they pass across the glass top of the overhead projector. 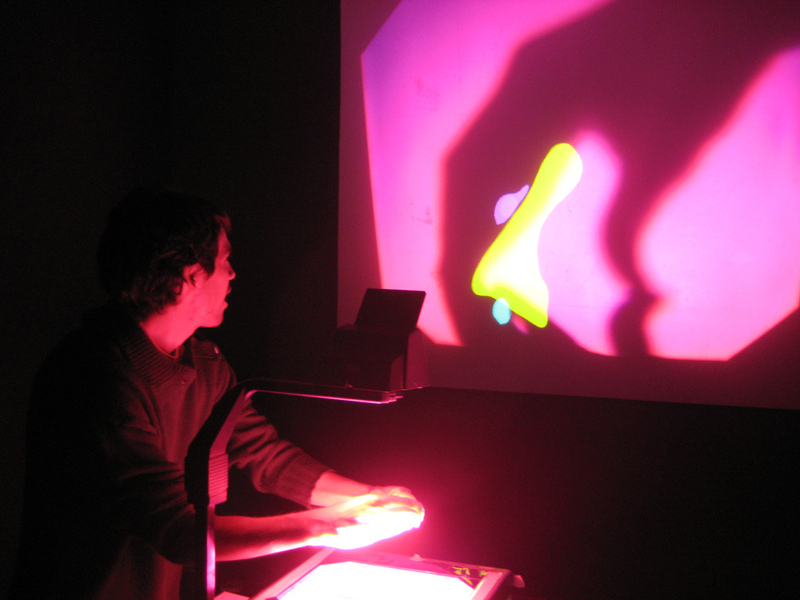 In response, the software generates synthetic graphics and sounds that are tightly coupled to the forms and movements of the visitors’ actions. 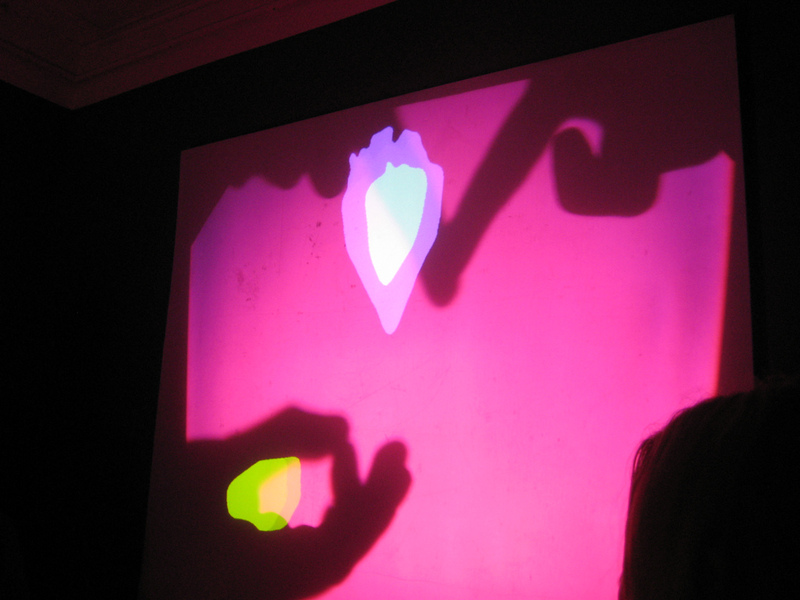 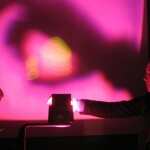 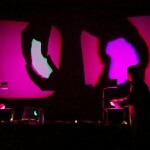 The synthetic responses are co-projected over the organic, analog shadows, resulting in an almost magical form of augmented-reality shadow play. 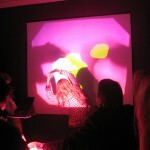 Credits: Golan Levin, Zach Lieberman.